Teaches “Best Practices” by guiding you step-by-step through how to run a business, where to find vendors, developing a brand, and secrets to scheduling, formatting, and running parties. Your download includes 5 easy to follow modules in an online format. Learn anywhere from any device. The Princess Party Training- Part 2 – “The Secret Sauce”, shows you step by step how to run parties and efficiently operate your Princess Party business. Learn all the secrets to satisfy discerning customers, by giving them a quality experience, and leaving them with a smile. Worksheets, checklists, reading material, videos and photos are all included. 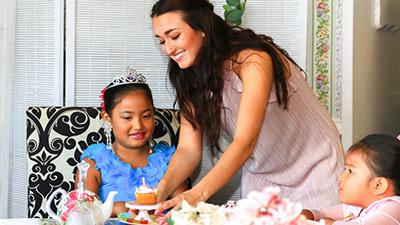 The Princess Party Training Program is the best Training Available on How to Start a Princess Party Business.